Is there a greater gift than the gift of a book? I honestly don’t think there is. Books can transport us, they can offer comfort. They can teach us about the world and about ourselves. They can be an adventure, a refuge, and inspiration, a solace. And it’s a pure pleasure to give a child a book that opens up the joy of reading for them. 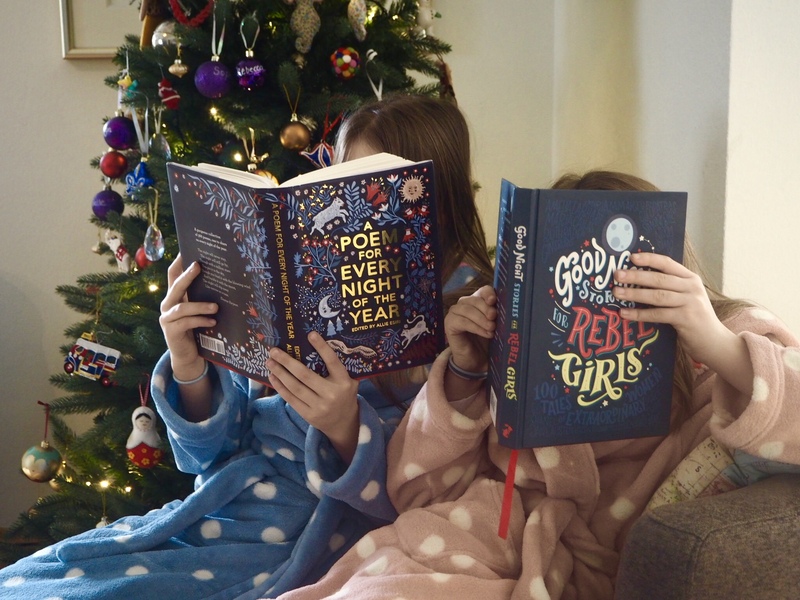 This year we have added to this idea…as well as ideas from my little bookworms, I also asked for suggestions from The Expat Book Club and had an amazing response! Huge thank to you all and, of course, your children. So this is a list recommended by expat kids…and it’s great to see how the same books are being enjoyed by kids from different countries who are living all over the world. And whether you are expat or not, hopefully you’ll find something on here for your children…and perhaps something that they may not have already read, or an author they don’t know. This has been the great thing about The Expat Book Club – getting exposure to books that I many never have come across on my own! The first section here then is from the Making Here Home household and my girls aged 10 and 8. The second section is from the children of our Expat Book Club members – so you have recommendations from expat kids living all over the world. This was a birthday gift for my 8 year old from her Godmother. It is set in Paris and it is a wonderful, magical story of girl who befriends an orphaned boy who lives on the rooftops of Paris. The writing is beautifully inventive and a pleasure to read. We definitely want to read more by this author. Stories for Boys Who Dare to Be Different: True Tales of Amazing Boys Who Changed the World without Killing Dragons is a similar kind of book but aimed at boys, and shows that masculinity can mean many things. ‘My Mum got these for me because she knows I like graphic novels and I like reading them by myself’. Harvey and Jack, age 5 and 3, living in Germany and about to move back to the USA. Recommended by Benedict, age 2, and his Mum, living in the UK and about to move to the Middle East. I had to add this one…no, I haven’t read it, but the title cracked me up…as did the picture of Henry VIII on the front cover. ‘We love this book – it’s perfect for bookworms as they’ll empathise with Ralphie. Lots of extra details too after the first read. And along the same theme, we also like The Incredible book Eating Boy by Oliver Jeffers. Recommended by Joe and Tom, 8 and 5, Paris. ‘I love this book because the boys battle beasts, and when the beast turn into mega mutants then the boys have other boys that come and help them. It’s great’. ‘Ms Rose, my librarian recommend this book to me – it’s great!’ Ricardo is also enjoying The Magic Treehouse series. Matthew, age 9, lives in Singapore and has been enjoying Brandon Mull books. 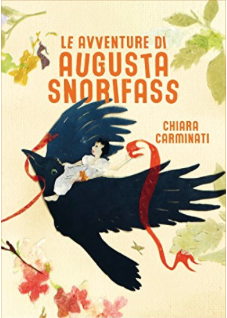 ‘Le avventure di Augusta Snorifass’ (Augusta Snorifass adventures), by Chiara Carminati. This is an amazing book with fabulous drawings about the imaginary adventures of Augusta Snorifass, the little paper doll that in reality the famous Danish fairy tale writer Hans Christian Andersen designed in the 1860s, as a gift for a pastor’s daughter. I hope it will be soon available a version in English’. Cian, aged 10, lives in VA in the USA and he really enjoyed Airborn, which is an adventure in the style of Jules Verne. He is also enjoying re-reading his favourite author Roald Dahl. This book was recommended by Max, age 10, who lives in Jakarta (it’s by the same author as Rooftoppers which was recommended by my daughters). Max has also enjoyed The Percy Jackson series of books…which were also a hit with my eldest daughter. Sofia also recommends The War That Saved my Life,by Kimberly Brusker Bradley and Katy – a retelling of What Katy Did Next by bestselling British author Jacqueline Wilson. Oscar (age 11) and Andrew (age 13) live in Hong Kong and have been enjoying reading Michael Morpugo books. There are many to choose from – probably the most famous being War Horse – but this retelling of the legend of King Arthur has been a recent hit with us too. Oscar and Andrew also both recommend The Hunger Games series. Sky Chasers by Emma Carroll is (like all her books) a lovely historical fiction for 9-12s, plus it gets bonus points for being set in Paris/Versailles at the time of the first hot air balloon flight. For teens I’d recommend Matt Killeen’s Orphan Monster Spy, which has just been short-listed for the children’s Costa. It’s a really thrilling adventure following a Jewish girl who turns spy in a WWII Nazi boarding school. For little ones, Is It A Mermaid by Candy Gourlay and Francesca Cessa is beautiful and very funny and Mini Grey’s The Bad Bunnies’ Magic Show is hilarious. For poetry, I’d suggest Moon Juice by Kate Wakeling. Alex has published three picture books for younger children, my niece and nephew will be receiving this from me this year – pirates and diggers, what’s not to like?! Phew! I hope this gives you some ideas….I’d love to hear what you choose, and which books your kids have really enjoyed. Thank you Becci for all the great gift ideas!! !